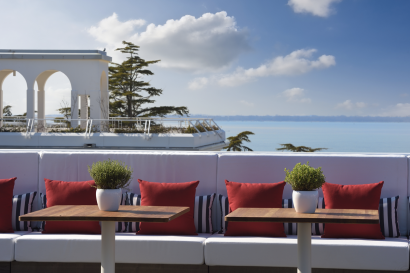 Prior to his position as General Manager, Tzamalis held a range of management positions at various hotel properties around the worldincluding as Director of Operations Mediterranean & Africa for Grace Hotels; the Multi-Property General Manager for Starwood at Vedema, a Luxury Collection Resort; and Mystique, a Luxury Collection Hotel, both on the island of Santorini, Greece; as well as Hotel Manager for the Vedema property. Mr. Tzamalis graduated from“LesRoches” Hotel Management School in Bluche, Switzerland and completed “The General Manager Program”at Cornell University. 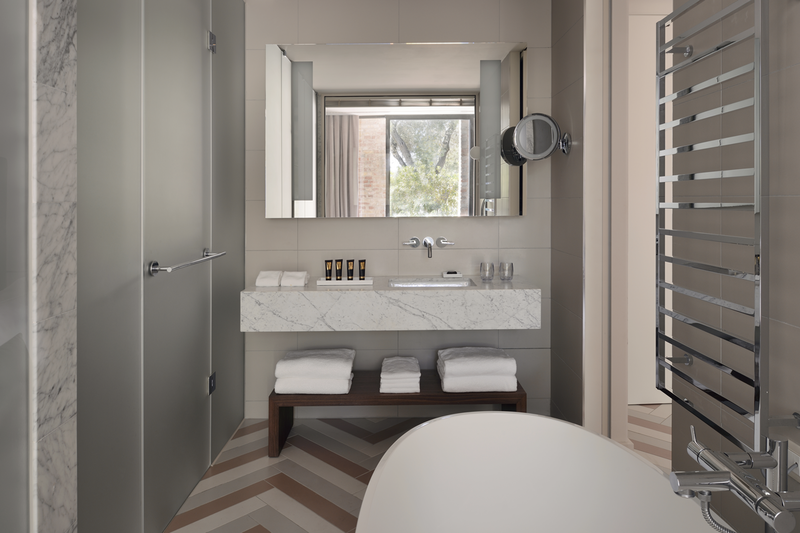 Isola delle Rose is the youngest island in the Venetian lagoon, born in 1870, and our high contemporary design keeps us the most youthful in style. 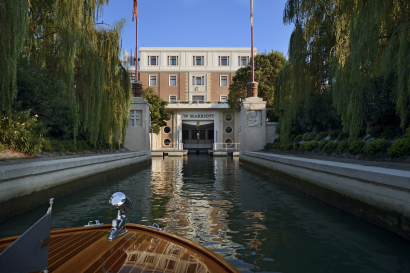 Our island was immediately sought out for the salutary breeze ushered in on marine currents; today our guests appreciate the mild microclimate after touring the sun beaten streets of Venice. In the milder climate plants have always flourished and people too came to revive. For a hundred years the island was home to a clinic, until 1980 when the only person left to tend the rose beds was a Capuchin friar, Padre Policarpo. His name comes from the Greek word polykarpos meaning rich in fruit, strolling through the fertile gardens and orchards you will feel he left his spirit behind him. After a period of abandonment, in 2010 renovation works started and in March 2015 our luxury JW Marriott Venice Resort & Spa opens its door to guests. Villa Rose : the one and only real private Villa in Venice featuring private pool and butler service. Isola delle Rose in Venice Lagoon – 20 minutes by boat from Venice historical city center. Venice City center with its history, art and museums – Murano, Burano and Torcello island, the Lido of Venice ( with Venice beaches and seaside life). The Venice Laguna is a crescent-shaped body of water between the Italian mainland and the Adriatic sea and as Venice city itself is part of the Unesco heritage for its history, traditions and for the natural landscape. – Before of being transformed into a luxury resort the Isola delle Rose hosted a clinic for respiratory diseases up to the late ‘70s. – Our gourmet fine dining restaurant Dopolavorobuilding was a movie theater in the early ‘30s and the name was inspired from the original script on the façade. In the ‘30s the Dopolavoroassociation circles became primarily recreational, concentrating on sports and other outings and the building of the actual restaurant was one of that. -The Isola delle Rose pure virgin olive oil– produced locally with the olives collected from the one and olive tree grove in Venice featuring 104 olive trees planted more than one century ago. -The largest Spa of the whole Venice lagoon featuring a wet area with pools and dedicated garden located in a previous boat barrack and the massage area located in the previous cows stable of the island. -L’Orto – the organic vegetable garden of the island that recuperates the tradition of the Venetians Orti located in the lagoon islands and supplying the city with fresh fruit and vegetables. Products coming for our ORTOare daily used by our chefs during their cooking. Kid’s club available from Tuesday to Sunday from 10am till 6 pm ( on charge) with scheduled activities and Multilanguage dedicated attendants. De Luxe Room Ranging between 36 to 46 sqm (388-495 sqft), De Luxe Rooms feature a contemporary style and gorgeous view over the luxuriant and relaxing green areas of the island. 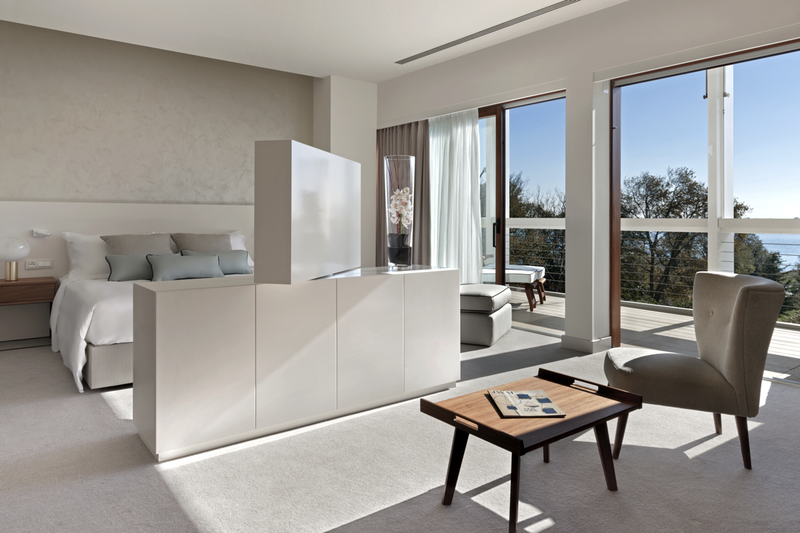 Neutral-tone carpet, wide windows to fully enjoy natural lighting, a comfortable wardrobe equipped with personal safe and a contemporary-designed bathroom. Uliveto De Luxe 30 sqm (323 sqft), surrounded by olive groves, some featuring patio or terrace. La Residenza De Luxe 34 sqm (366 sqft), located in an exclusive area of the resort, featuring a private – patio. La Residenza Venice Pool Deluxe 40 sqm (430 sqft), featuring Venice view and a private garden equipped with a secluded pool. La Residenza Venice Pool Suite 60 sqm (645 sqft), featuring an outstanding view of Venice and a spectacular 10 mt long swimming pool. 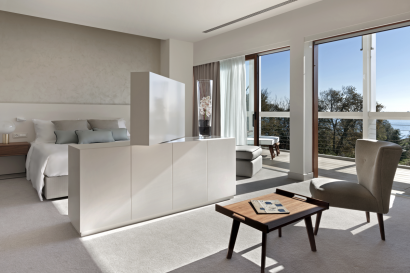 Junior Suite Ranging from 47 to 55 sqm (505-592 sqft), Junior Suites feature an entrance, a wardrobe area, a bathroom with bathtub and separate shower, a wide bedroom with living area and glass-walls overlooking the gardens of the resort. Most of the Junior Suites provide a private balcony or terrace, for moments of pure relaxation. Studio Suite Ranging between 55 to 65 sqm (592-700 sqft), the Studio Suites feature an entrance, a spacious wardrobe area, an expansive bathroom with bathtub and separated shower, a wide bedroom and a comfortable separated living room with large glass-walls overlooking the gardens, to fully enjoy natural light. 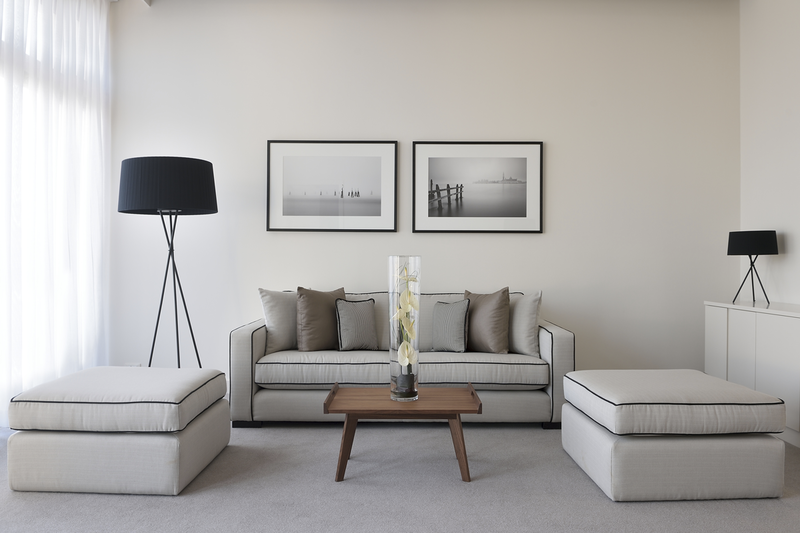 Neutral tones, light colours, contemporary-styled décor make the Studio Suite the perfect accommodation for the most discerning travellers. 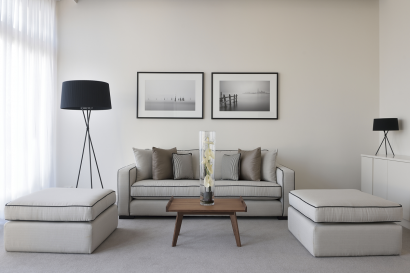 Premium Suite Ranging from 60 to 93 sqm (645-1001 sqft), the Premium Suites feature an entrance, a spacious wardrobe area, an expansive bathroom with bathtub and separated shower, a wide bedroom and a comfortable separated living room. 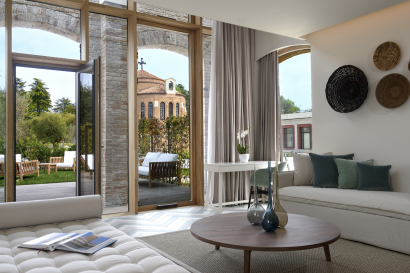 A Premium Suite features a large half-moon terrace overlooking the gardens, others offer stunning views over Venice and the Lagoon. 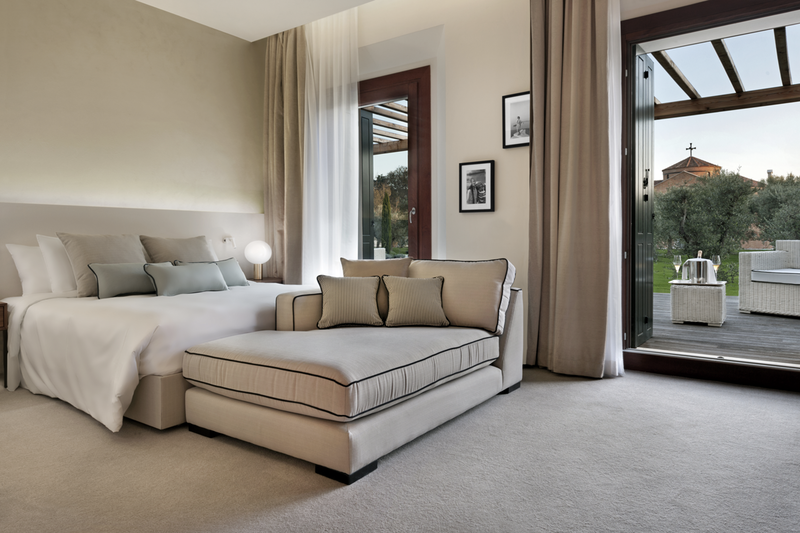 Uliveto Suite 44 sqm (474 sqft), spacious room, with separated living room and bedroom surrounded by olive groves. La Maisonette Loft Suite 55 sqm (592 sqft), on two levels with terrace and garden, live the charm of an historic building in combination with a modern integration. La Maisonette Pool Loft Suite 55 sqm (592 sqft), on two levels with terrace, garden and private pool overlooking the charming island’s private canal. Villa Rose is Set in its own gardens, facing out over the lagoon towards Venice, La Villa is our hidden retreat for independent souls seeking perfect peace and privacy. The beautifully designed, two-level, two- bedroom building is complemented by a private outdoor pool with uninterrupted views and decked relaxation area. It features 2 Presidential Suites that combined together make a total area of 215 sqm (2315 sqft) on two levels, with private outdoor terrace and garden of 420 sqm (4520 sqft) equipped with private pool overlooking Venice. – Cucina Daily Restaurant The international cuisine is brought to life at the chef’s stage, open for breakfast, promoting fresh and simple dishes. Located on the ground floor and inspired by the surrounding gardens, this space makes a connection between nature and architecture with organic, sculptural forms. – Sagra Rooftop Restaurant.Located on the roof top of the Hotel offering a stunning view over the park and the lagoon, it celebrates the essence of “Sagras”,the Italian food festivals,offering dishes based on a culinary journey through Italy.Subtle inclusions of hues of blues reflect coastal regions of Italy,with the visible theatre of the kitchen bringing a vibrancy to the space. – Fiola @Dopolavoro gourmet restaurant :The name Dopolavoro, which means ‘after work’ in Italian, says it all. Guests are received in the original structure of a building constructed in 1936. The award-winning chef and restaurateur Fabio Trabocchi will take over the operations and open in April2019 as Fiola at Dopolavoro Venezia, the new fine-dining culinary concept will feature dishes from Trabocchi’s existing Michelin-starred restaurant, Fiola DC, and traditional Venetian cuisine prepared with a modern presentation. 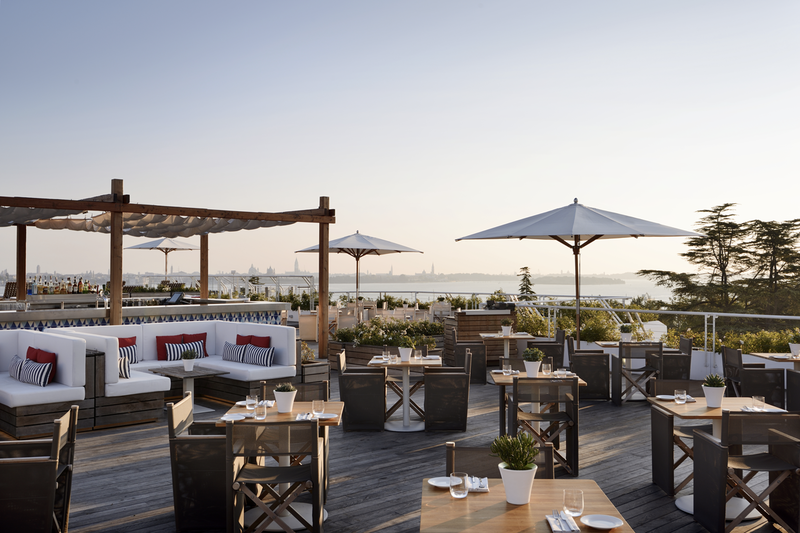 Rose Lounge Bar It transcends day to night, offering the finest Italian coffee accompanied by a range of pastries and snacks. The Rose offers premium spirits, cocktails and wines in a bold, contemporary and chic environment. Dispensa Delicatessen Casual outlet, just a few steps from the boats, where you can grab a coffee before going to discover Venice or shop local products before your departure. Inspired by the personality of Venice, JW Venice Spa delivers an exclusive and crafted wellness journey that embraces both traditional and modern spa modalities. Providing a unique sanctuary on Isola delle Rose in which guests can regenerate and relax amid luxurious surroundings while enjoying the most exclusive treatments. Housed in a simple and elegant building dating from the early 20th century, JW Venice Spa – the most comprehensive in Venice – opens like a shell onto the water with eight treatment rooms, a stunning views of the lagoon and an elegant spa suite. The facilities include a sauna, bio-sauna, hammam, a gym and a magnificent heated indoor vitality pool that extends outdoors through movable glass wall. 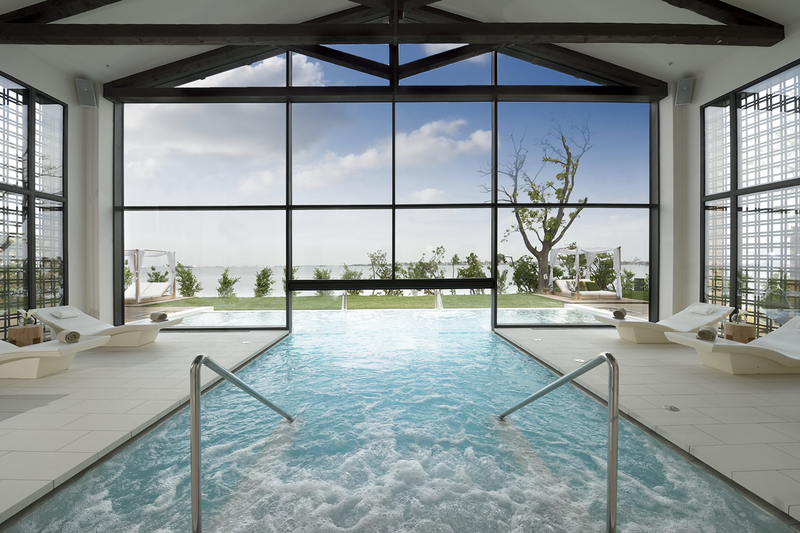 Bathed in natural light the spa’s indoor and outdoor vitality pool immediately stimulates the senses. 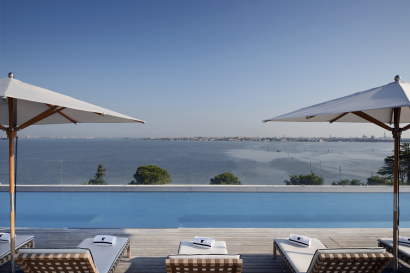 Set within an expansive pitched-roof structure, and offering stunning views of the Venetian skyline, our heat and water areas provide a truly bespoke thermal experience, either as part of a treatment journey or as a standalone treatment experience. World-class facilities that are complemented by elegant design include a vitality pool with air and water massage stations; experiential showers; tepidarium loungers; salt therapy and bio sauna; Hammam with private scrub room; and a large Finnish sauna. 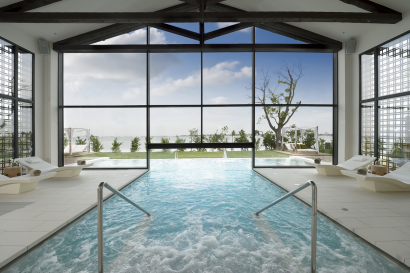 JW Venice Spa features a luxury spa suite, and is a haven of luxury and tranquillity. The suite offers every conceivable luxury including, a lounge area, grooming stations, private thermal experiences, double treatment beds and waterside deck with outdoor showers overlooking the Venetian lagoon, and world famous St. Mark’s Square. In the gardens and on the wooden parterre the days pass serenely, guests may choose between a yoga lesson, meditation and exercises of holistic wisdom to reach a new inner balance.